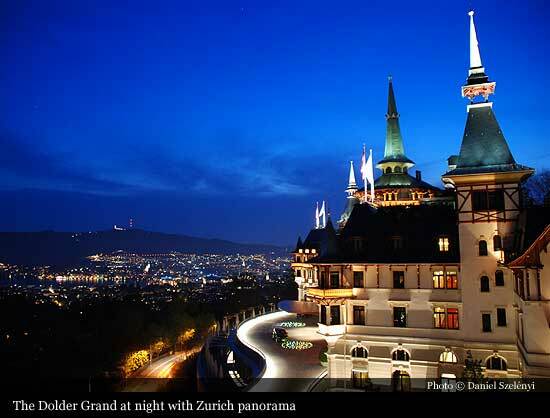 The Dolder Grand Hotel & Curhaus was built between 1897 and 1899 under the direction of the Basel architect Jacques Gros, as a place of relaxation and regeneration for people in the city in need of a rest. 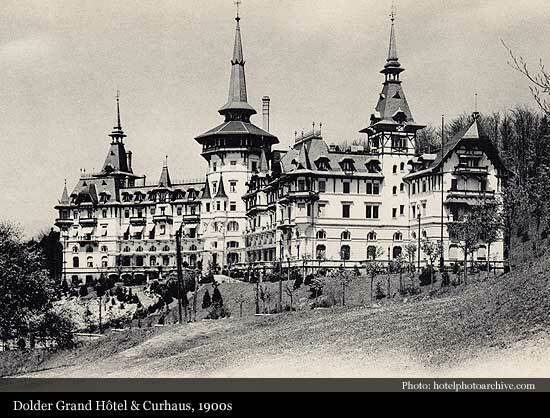 On 11th May 1899, the Dolder Grand Hotel & Curhaus opens featuring 220 beds, a reading and billiard room, a cafe restaurant, covered verandas, terraces, two lifts, a telephone and a telegraph. 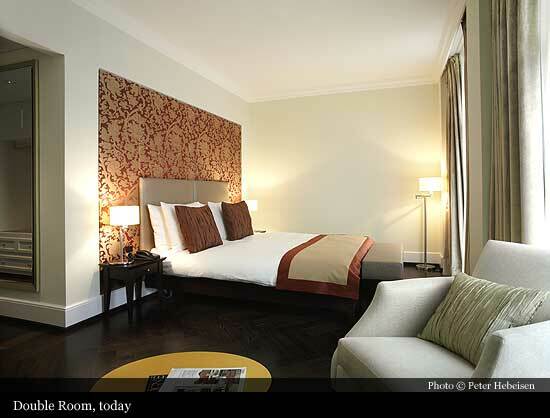 An overnight stay in a double room during the peak season costs between CHF 12.00 and 20.00. 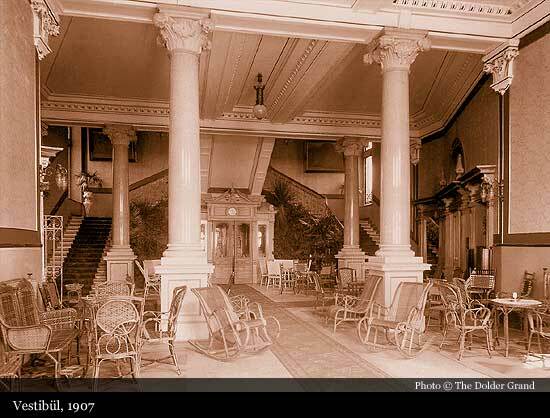 In 1924, the Hotel moves from seasonal opening to being open throughout the year, and the first extensive building renovation work is undertaken. The main building is extended to house staff living quarters, and the main entrance is moved from the front to the rear of the building. The front of the Hotel now houses a semicircular restaurant, the "Rotonde", with large windows and an outdoor terrace. 1949: The 50th anniversary celebration of the Dolder Grand Hotel. 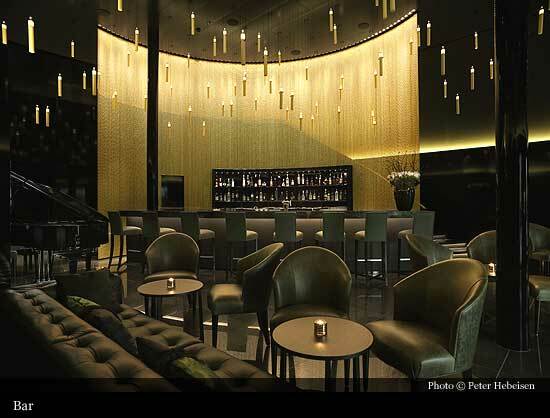 Post-war prosperity - this is the start of a good period for the Zurich area and for the Grand Hotel. Even during the war years members of European royal families have come here to the Dolder Grand Hotel to escape from the unrest of the war. 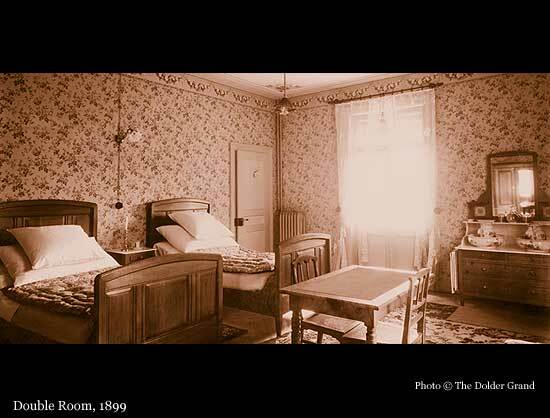 Winston Churchill and Thomas Mann are also guests at the Hotel. In 1964, The Dolder Grand Hotel opens a new, modern complex with 60 rooms, and the original symmetrical design of the Hotel is lost as a result. In the following decades, the Grand Hotel continues to be the focal point for royalty, politicians and economists, as well as those working in entertainment and the film industry. After successful years come challenging times. It is clear that by the end of the 1990s significant investment will be required to ensure that the traditional Hotel continues to hold its place in the top class of the international luxury hotel industry. Nevertheless in the final years before the Hotel closes its doors, prominent people such as Nelson Mandela, Elizabeth Taylor, Michael Jackson, Luciano Pavarotti, Prince Philip and Mikhail Gorbachev sign their names in the guest book. The entrepreneur Urs E. Schwarzenbach becomes the majority shareholder in 2001. 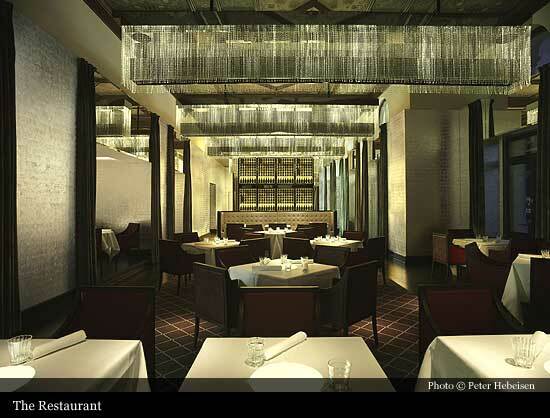 He ensures that the financing for the renovation work at the Dolder Grand Hotel is secured. In the same year, Lord Norman Foster of Foster and Partners London is invited to Zurich. 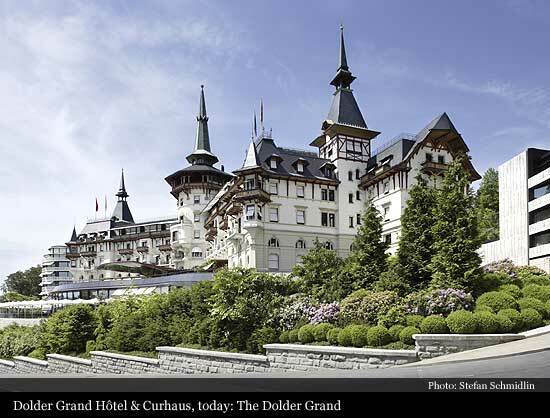 Following intensive research in the archives of the Dolder Grand Hotel, the internationally renowned architect plans to remove all buildings constructed after 1899, to restore the historic main building and to completely restore the facade to its original 1899 condition. 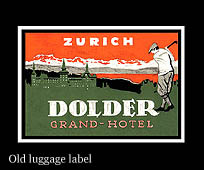 In the summer of 2004 the Dolder Grand Hotel is closed, and the furnishings are sold. All annexes built after 1899 are torn down, and the first sod is turned as early as August 2004. Within six months, over 111.000 cubic metres of material is dug out around the historic main building in order to reach the depth required for the new building. The historically protected facade is reinforced with a steel frame. 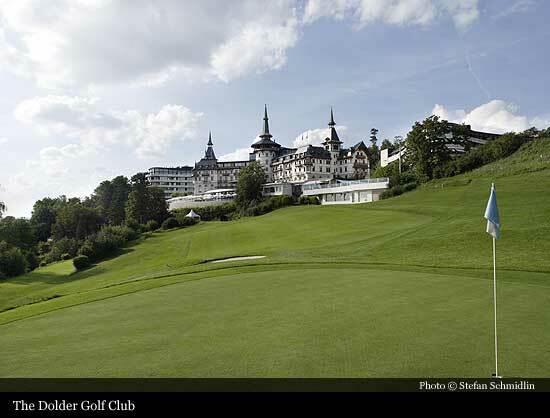 On 4 February 2005, the foundation stone for the new Dolder Grand takes place in the presence of the Mayor of Zurich, Elmar Ledergerber. At the same time, 70 geothermal probes are sunk into the ground to a depth of 150 metres. Through this underground storage technology, despite the fact that the surface area has doubled from 20,000 to 40,000 square metres, energy consumption is reduced by half. On 3 February 2006, exactly a year after the laying of the foundation stone, the erection and completion of the building shell is celebrated. 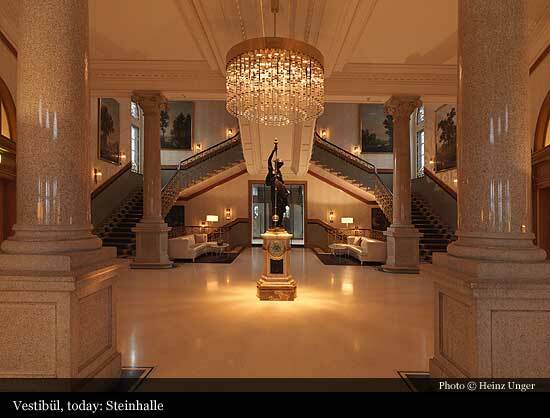 Historically protected areas such as the Steinhalle in the main building and six protected rooms have been faithfully restored to their original historic state. 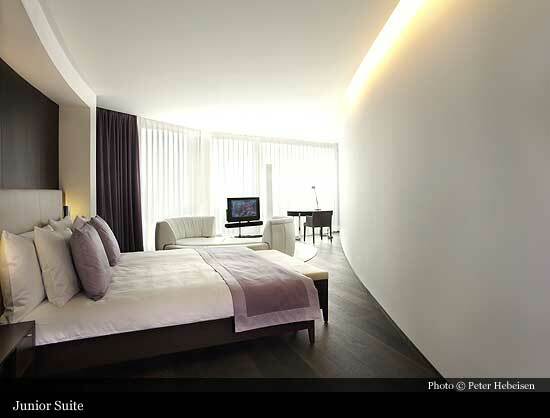 In April 2008 the Dolder Grand, the new City Resort with 173 rooms and suites, is opened. 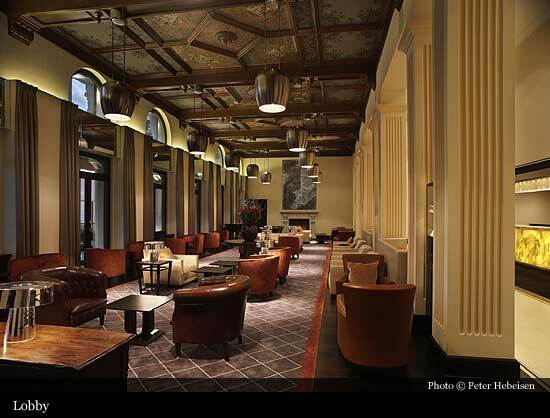 The renowned London architects have combined the Hotel's historic main building of 1899 with modern architectural accoutrements. Over the three open days prior to the official reopening, approximately 12,000 visitors come for a look around the rebuilt luxury hotel.